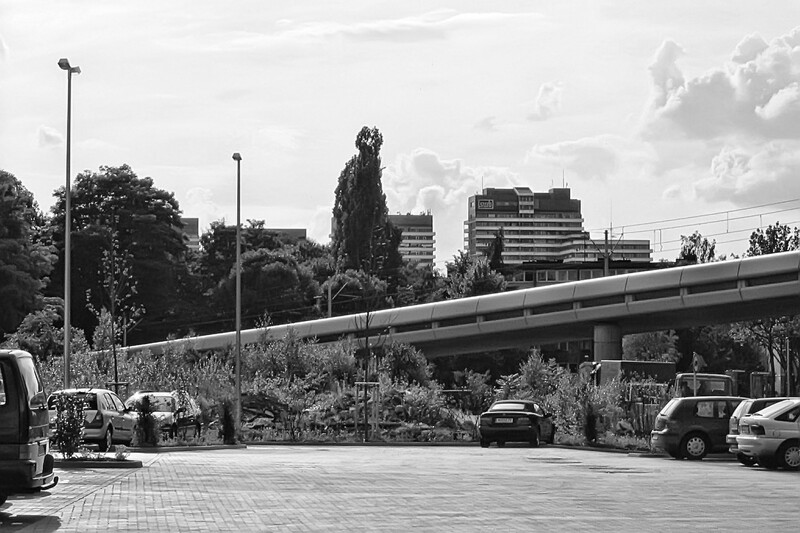 Something from a perspective of the city I rarely visit these days: this was shot from a supermarket parking lot east of the inner city. The bridge bisecting the photo is the subway going into the main station tunnel to the right, the U18 actually runs above ground for a sizable portion of its line. In the background are, as usual, the omnipresent inner city highrises.